Much of my work is made from hand dyed and printed textiles. I use natural materials such as wool, silk, cotton, and linen almost exclusively and use dyes and pigments made from plants and insects. I grow or forage many of my own dyes, such as black walnuts, Osage orange, marigolds, and weld. 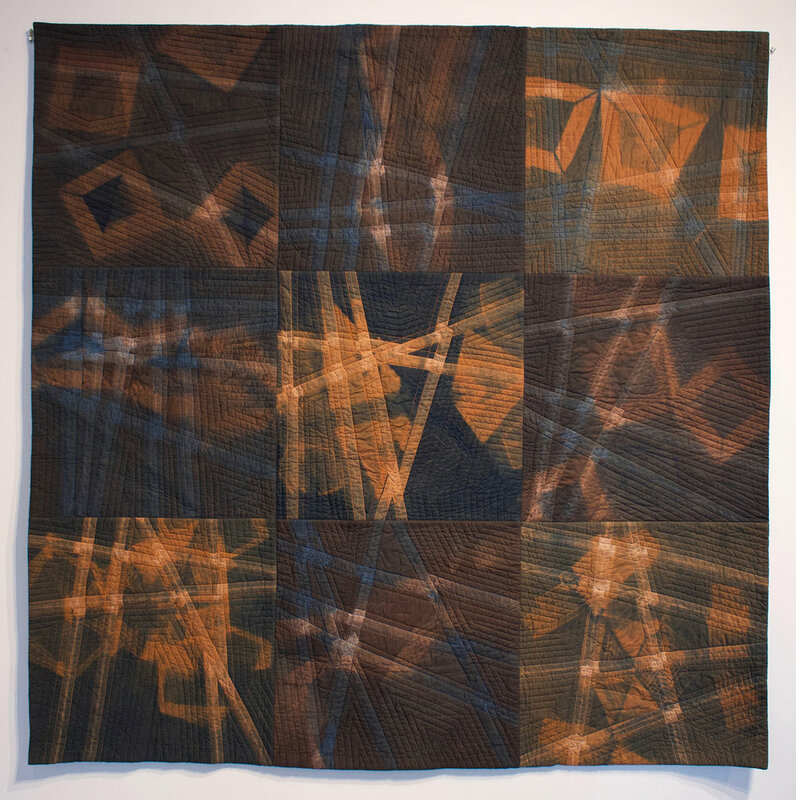 Inherently tactile, slow, and labor intensive, quilting provides an opportunity for quiet reflection. 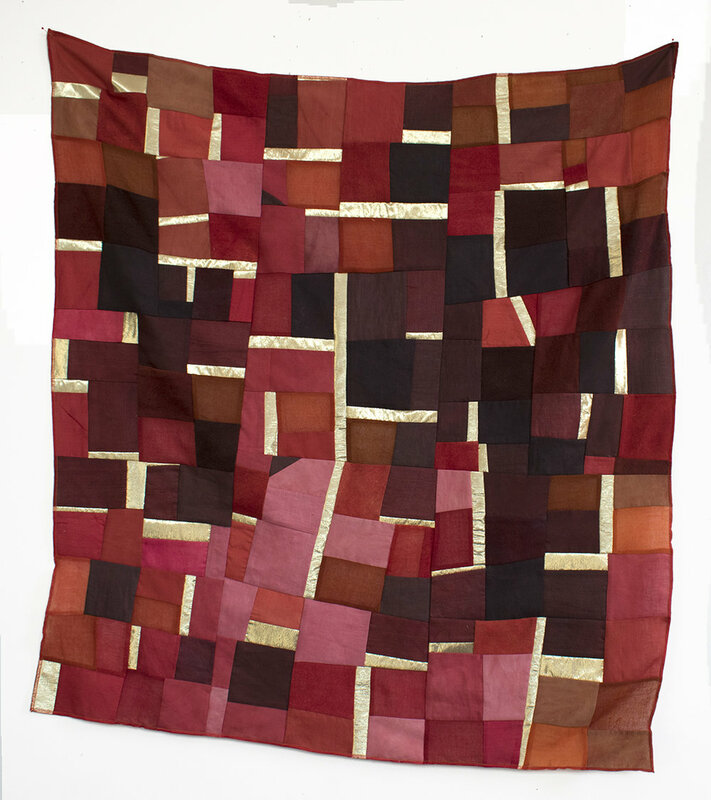 Like quilting, the process of dyeing or printing fabric using natural dyes is slow and methodical. From growing, harvesting, and preserving the plant materials, to creating the dye baths and carefully dyeing the fiber, each step creates an opportunity for reflection and gratitude. Though I strive for a level of control in the process, nature is inherently uncontrollable and I enjoy the variation and surprise that comes through in the work. These variations can feel magical and I often allow them to guide my work. It can feel frivolous and impractical to use such time consuming and anachronistic practices. But I am more and more aware of the importance of slowing down, of using our hands, and reconnecting with the past as a way to honestly and authentically create a future.